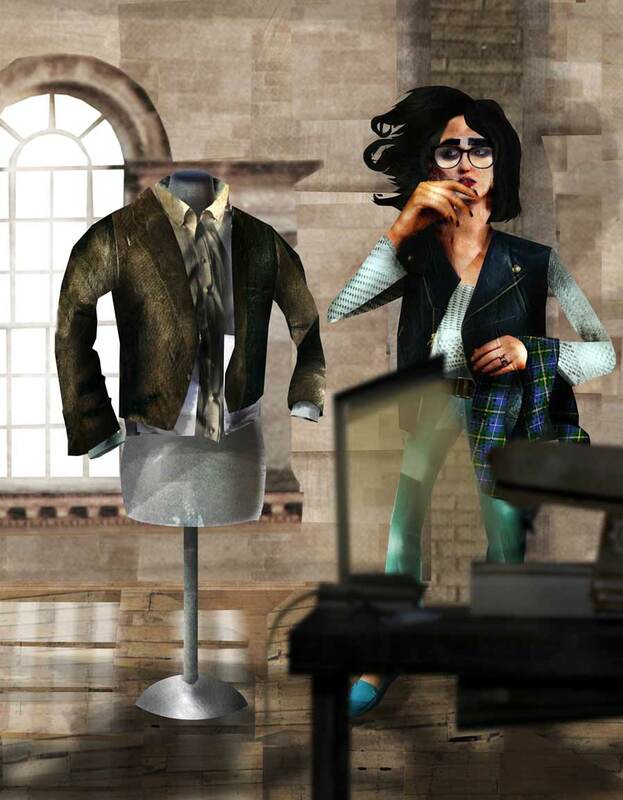 Is New Brunswick ready to wear a different garment? Straining to see through the tightly woven threads of New Brunswick cloth at the state of the province highlights the disconnections and lost opportunities, but so too the potential. Every part of Tomorrow’s investigation is contained in the cheap sweater your aunt buys you for Christmas, the sofa you sit on to watch TV, the curtains in your bathroom, the long underwear you get in preparation for winter. The buyer holds the threads to weave a new provincial future. New Brunswick has 71,450km2 of land, just 7 per cent less than Scotland. 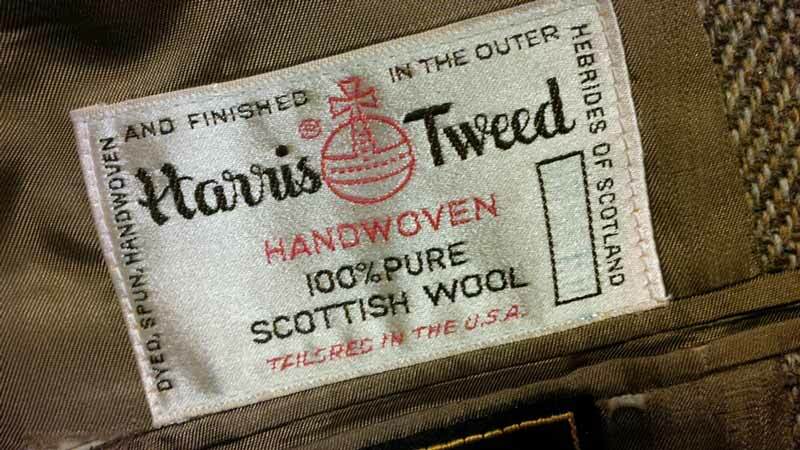 And yet Scotland is home to Harris Tweed, an industry worth millions to the economy of the Outer Hebrides islands that must, by law, play home to production of the historical cloth. It is a fixture in film and TV, from former Doctor Who actor Matt Smith, to Ben Affleck’s character in the Oscar-winning Argo. Harris Tweed is a powerful and respected brand around the globe. That heritage of weaving contributed two centuries ago to the traditions in New Brunswick homesteads, as reported in Part 2. But that past and its potential value today has been largely forgotten. Alyson Brown, of Legacy Lane, said the industry in the province needed to grow, but there also needed to be more coordination, likely across the whole of the Maritimes and not just New Brunswick, and focused on all fibre, much like the Harris Tweed Authority. A previous association in New Brunswick collapsed when there weren’t the individuals committed to keeping it going, or the money. “We definitely need more of a presence and a working together,” she said. “That’s one thing I think our country lacks. 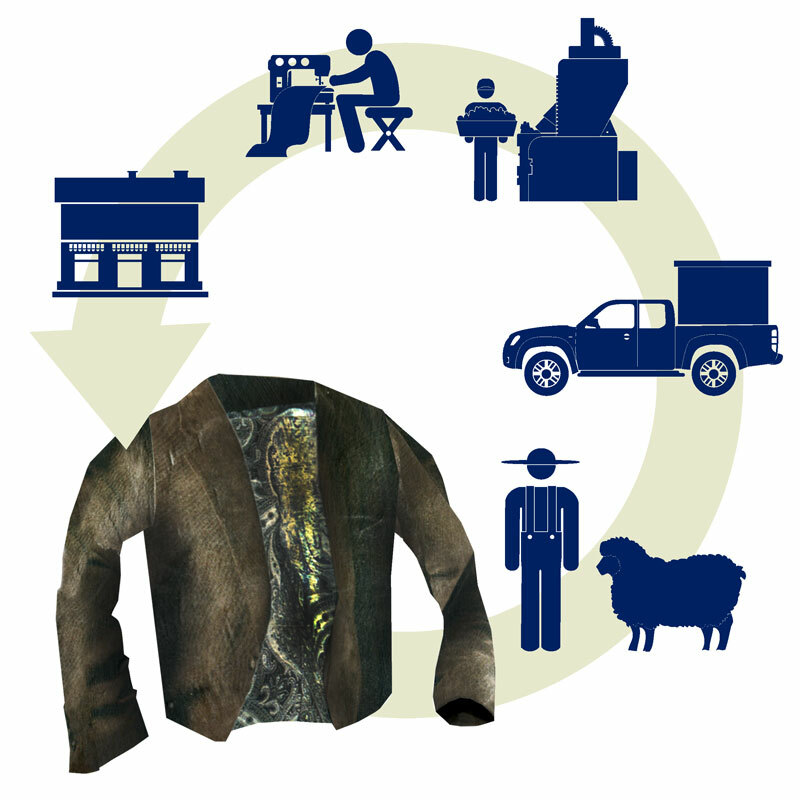 Applying a New Brunswick-branded quality on raw materials and products could be key, and Harris Tweed and merino wool are both global examples of the power of marketing. He said Harris Tweed and merino wool, predominantly both have the advantage of heritage that has been maintained through top manufacturing, expert development and retaining a “focused and pure view of what they can offer within the market”. “Perhaps, within an international context,” he explained by email, “both have also benefited from the impact and halo effect of the very best design houses using them as integral elements of their product collections. Marketing and brand power need each other to work, said Prof Moore. “A product design is enhanced and supported by the strength of an outstanding raw material ingredient. These ingredients provide the quality credentials of the product and support any claim for distinction, luxury and superiority. Likewise, when a respected designer or brand utilises a specific ingredient – such as tweed – in their product/ranges, then the impact is positive and enhancing. It raises the status of the product. It serves to differentiate and support the positioning of these materials as brands in a powerful and credible manner. “Textile marketing is more complex. This is because the textile/material is usually not the end product. It is an ingredient of something else. “Place” is critical, said Prof Moore. The country of origin can represent a distinct heritage, expertise and quality. And, through storytelling, it can give a sense of authenticity and credibility. So how can producers make the connection with consumers? One of the challenges in a digital era is that only 41 per cent of New Brunswick farms have access to high-speed internet.3 Prof Moore said the key is to somehow create a credible brand. But some brands push the aspirational need to be “in style”, with an ever shrinking world feeding the concept of fast fashion. Dr Jason Choi is an associate professor at the Hong Kong Polytechnic University where he teaches fashion business subjects such as supply chain management and information systems management.4 He said customers are increasingly demanding more products, broader choices with trendy designs, and shorter delivery time. “More and more fashion retailers find that they cannot rely solely on pushing sales of existing brands up every year to sustain profit growth,” he said by email. “As a result, they have developed extended brands and product lines. “Proper supply chain management definitely helps support the brands and enhance the brand values. For example, the fast fashion brand Zara can achieve in Europe the whole lead time from product design to ready-to-sell merchandise in sales floor [of] only about 15 days. “It is important to provide a product/service offering that consumers will value on multiple fronts with social value creation being one of these fronts, to ensure that there is a market for what one is trying to do, and to educate consumers on the social issues the business is addressing,” she said. But, as with fast fashion, it is up to individuals how they spend their money and how they view their purchases, as either helping the community or being trendy, or both potentially. Denyse Milliken, from St James Church Textile Museum, admitted there is a problem with many in the province who are used to a “cheap mentality”, that everything must be got on the sly or be buying in to the “bargains” offered by firms that sell low quality goods for little. “I think people are having a hard time,” she admitted, “so therefore, ’they’re going to try and get as much as they can for as little money as possible because they still have this mentality that they need all these things. Historian and weaver Dr Judith Rygiel said it was as much down to the passion of the producers and then getting that across to potential customers. “I’m a very passionate weaver – one of my friends says ‘You’re a passionate Acadian’ – I have a passion for fabric and I’m willing to take a lesser lifestyle because of it,” she said. “If you don’t have the passion, if you’re just doing it for the cash, you’re going to be out of business within five years. I’ve been at it for more than 35 years, selling my work, and still engaged, still passionate. She said when the public visits the college, many have no idea what textiles are. “Everything in your life is almost textile based,” she said. “Your bed, the rugs on the floor, wallpaper on the wall, the cloths in your kitchen, the bathroom – it’s everywhere. “Then they start to understand. And then when they see the handmade process, they start to fall in love with what they’re looking at, and then they have a deeper understanding of what they’re getting. Anytime I can get my students to do demos when they’re trying to sell stuff, we sell 10 times the amount. Ms Richard instructs detailed calculations on how much time it takes to create pieces and the cost of materials, as well as what the market can bear. There would be little point making dishtowels to compete against $2 ones from the “local five and dime”. As well as prototyping and working to create items for price points of under $10, $20, $50, $100, and $200, they also look at the trends for different seasons. Where at Christmas someone might look for many smaller items to gift to others, in the spring they might look for something more expensive for themselves. Sell themselves, offer choices and offer quality – the image could be the same as fast fashion, except it’s local. “We have a passion for farming and for agriculture, a passion for textiles and the fibre arts, for craft in general, for handmade in general, for working with something, being involved in a sustainable practice and the encouragement of natural fibres and not the growth of the petroleum and the synthetics,” said Alyson Brown. Throughout Tomorrow’s investigation, even after the most blunt assessment of the current state of the province and its agriculture and textiles, its artistry and industriousness, if you ask about optimism, you get passion in response. “The potential is there,” said Denyse Milliken, “because we have the land, because we need to employ our people, because we need to bring our prosperity back in a different way. We’ve over-forested. I don’t think refurbishing Point Lepreau and bringing in oil from Alberta is going to help our province. I don’t believe fracking is going to help our province. But I believe we’ve got all this beautiful rich farm land here that could be put to good use. Rachel MacGillivray at NBCCD said friends live in New Brunswick while their husbands work in Alberta and fly home every few weeks. “And that’s become their norm,” she said. “I think there’s a need for industry here, but I don’t think we want it to be the kind of industry that’s oil fields or the way fashion factories operate in China now. I think it’s got to be more community-based, people-minded, as opposed to companies coming in and dictating -community-built industry. And maybe I am really idealistic, but I think it’s really possible. “One of the issues is we also tend to have in this society is this overall ideal where you can be happy or successful if you’re making a tonne of money. Denise Richard insisted real passion for working 18 hours in a day on a project that doesn’t feel like work is what she tries to instil in the next generation. And all of her students could make a living in textiles, she’s convinced. She said there was an insecurity that convinced residents, “Oh, I have to leave to compete” and Ms Richard didn’t want to be in that world. Why doesn’t New Brunswick make their theatre textiles the standard instead of Broadway, she asked. 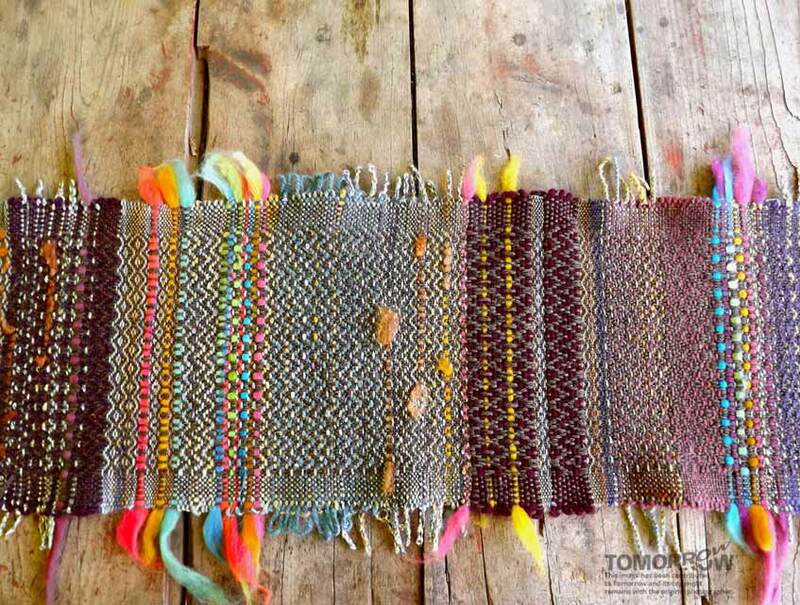 Anna Mathis, textile artist and weaver in Fredericton, New Brunswick. Anna Mathis is ambitious and optimistic.7 Her future depends on whether she can successfully convince you, reading this investigation, to buy her goods, no matter where in the world it is being read. At 20 years old, she was the youngest of all the interviewees for this investigation – any potential for the province rests on her and others staying in New Brunswick. Newly married in August to a “very supportive engineer”, the Fredericton resident took first place in the Virginia Jackson Design Competition, put on by the International Textile Market Association.8 Fellow NBCCD student Emily McCumber got an honourable mention, and the college was the only Canadian school last year to enter the race, with a student taking first place. And the first thing Ms Mathis learned was of the other schools she talked to at the competition, none had woven any of the fabric they submitted. “They had designed it and sent it to technicians to weave it,” she told Tomorrow by phone. “And a lot of their work was done on computers, so even the handpainting that we might do on fabric, they had the ability to just print it off in yards and yards. So that was a really big eye opener. Ms Mathis got into textiles through her mother, surrounded by knitting and food processing in the house. One day her mother brought her a little loom and went to the local farmer’s market to ask some women for help. At the age of 15, she was hooked. Now a graduate from NBCCD with a diploma in fine crafts, fibre arts and with an award under her belt, she said textiles are on the rise in New Brunswick. With the buy-local mindset for food in place, it can now influence other areas. She is starting a business called Ploome, focusing on selling fibre arts supplies and promoting the education of fine craft. If the textile community grows, more people will buy her skills and products. “As far as the problems that I face, I do definitely agree that it’s easy to say I’m an artist and people do not value what I’m making at its true cost and its true value,” she admitted. 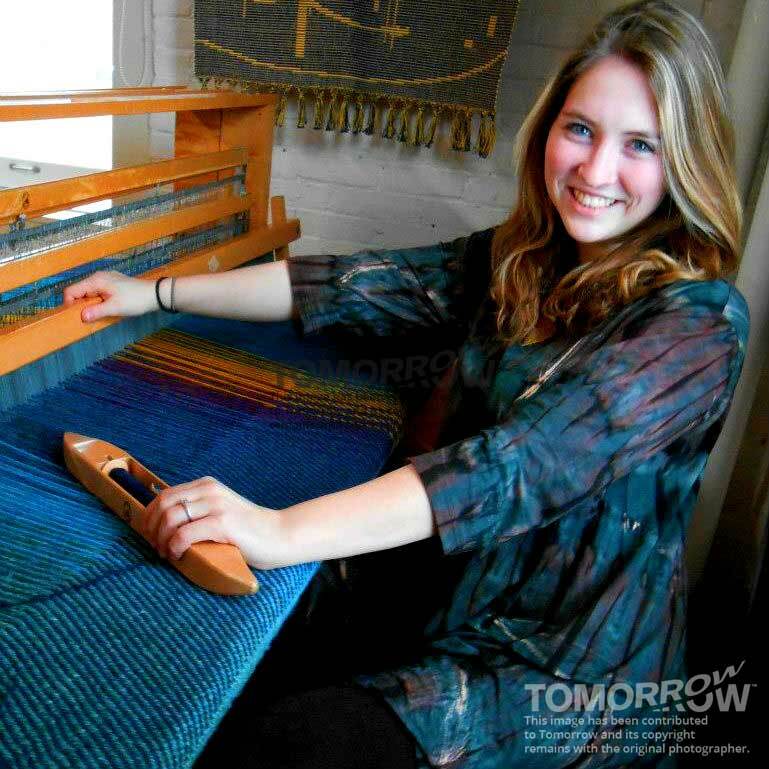 “My weaving, for instance, I actually can’t make any profit – I can only make my hourly wage and the material that it costs me. 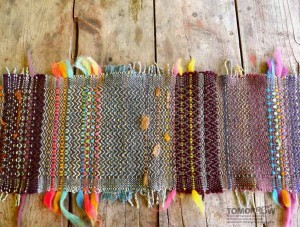 Table runner woven by Anna Mathis of Fredericton, New Brunswick. New Brunswick, argued Ms Mathis, can offer quality “taken-care-of” wool and the resulting textiles. With coordination within the sector and education, there can be success. “I have a real desire for local and small humble craft,” she said. “I didn’t realise that it was so strong in me until I went to the competition. “It does very much depend on the people, because building a business is all about giving your customers what they want and designing your products around their needs and solving their problems. “One of the most important things that people need to realise is that we have been making our own yarn every day up until the last 200 years. It has always been part of our culture. “I do want to stay in New Brunswick,” she vowed. New Brunswickers have to decide if they are staying in the province, whether they will support its possibilities and weave a new future. And if they ask, “What on EARTH are you wearing?” they could choose to answer, “With something made here”. What are you wearing? What economy do you want for New Brunswick? What changes do you want to make yourself or your community to make? If you would like to support Tomorrow’s future news, features, investigation, Artist in Residence, Athlete in Residence or other projects, please consider a donation. News builds community, and your donations help further that work. This entry was posted in Investigations and tagged fashion, New Brunswick, textiles on September 13, 2014 by Tristan Stewart-Robertson.